Peppermint | Become Healthy or Extinct! Peppermint (Mentha × piperita, also known as M. balsamea Willd.) is a hybrid mint, a cross between watermint and spearmint. The plant, indigenous to Europe and the Middle East, is now widespread in cultivation in many regions of the world. It is found wild occasionally with its parent species. The leaves and flowering tops are used; they are collected as soon as the flowers begin to open and can be dried. 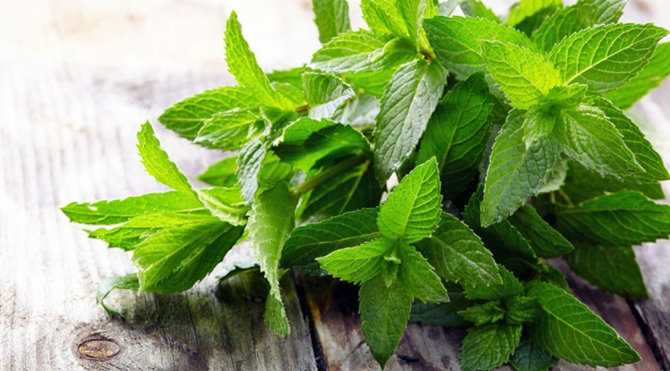 Peppermint has a high menthol content. The oil also contains menthone and menthyl esters, particularly menthyl acetate. Dried peppermint typically has 0.3-0.4% of volatile oil containing menthol (7-48%), menthone (20-46%), menthyl acetate (3-10%), menthofuran (1-17%) and 1,8-cineol (3-6%). Peppermint oil also contains small amounts of many additional compounds including limonene, pulegone, caryophyllene & pinene. Peppermint oil is under research for its potential as a short-term treatment for irritable bowel syndrome. The aroma of peppermint has been studied for its possible memory & alertness enhancing properties, although other research contests this. This popular flavoring herb aids digestion and relieves pain. It relieves stomach spasms and digestive disorders that could lead to irritable bowel syndrome and eliminates symptoms associated with lactose intolerance. Steep five to six peppermint leaves in a cup of boiling water for 10 minutes to make a soothing tea. Drink it twice daily.